consequence of that event occurring. Risk is not the same as hazard; a hazard is something that can cause harm and a risk is the probability and consequence of that hazard causing harm. When fuels become hazardous (i.e., build up to a level that could result in a harmful wildfire), the risk of a wildfire event occurring should determine the appropriate management response. For example, where the probability of a wildfire event is high but the consequence is low (e.g., in an isolated natural area with low values at risk) the level of risk may be acceptable and a treatment prescription may not be required. On the other hand, if the probability of wildfire is high and the consequence is high (e.g., in a forest adjacent to a community with high values at risk) a treatment prescription may be required to mitigate that risk. This can be achieved by prescribing treatments that will reduce the level of fuel on the site to a point where it is no longer considered hazardous. The following BMP will address how treatment prescriptions should be applied in Conservation Lands to maintain or enhance wildlife habitat values of the area. Source link and other information: http://a100.gov.bc.ca/pub/acat/public/viewReport.do?reportId=12090. 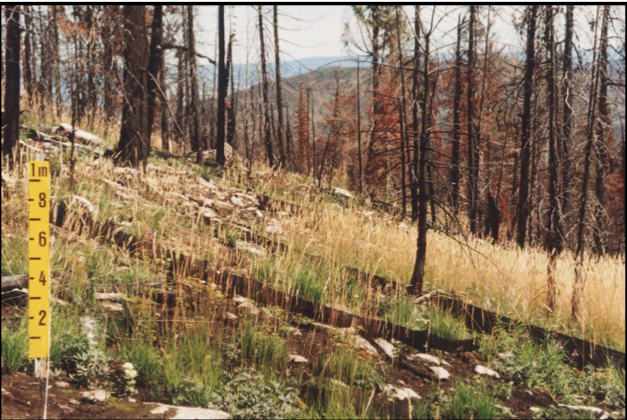 Link to PDF report: BMP Fire Hazard Abatement on Conservation Lands 2006. Increasing concern over fuel build-up relating to the current Mountain Pine Beetle epidemic has led to calls for fire hazard abatement treatments in some Conservation Lands. 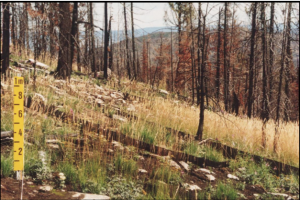 Specific BMP guidelines were desired in order to ensure that Conservation Lands objectives would be minimally impacted by fire hazard abatement treatments.